When people think about traveling to Mexico, we usually think about beautiful beaches like Cancun, Cabo, Puerto Vallarta, Playa del Carmen or the stunning pyramids like Palenque or Chichen Itza. Mexico City doesn’t pop up frequently on the lists of places one must visit in Mexico, but it is a City with endless treasures and unique experiences. There is so much to see and do in Mexico City. To get you started here are 5 cool and unusual thing to do in CDMX (we only name 5 for starters!). And we explain you how to get there from La Palomilla. 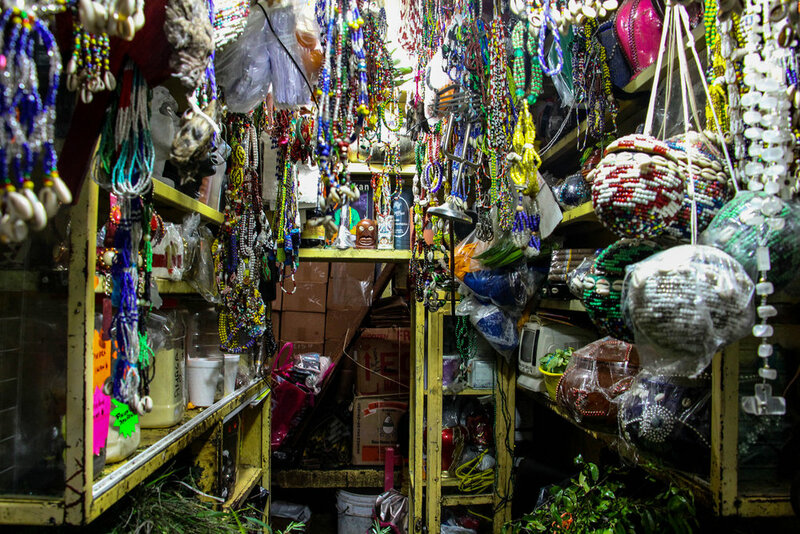 For anything that ails you, there’s a solution in the Mercado Sonora, the largest esoteric market in Mexico and a must see for those interested in mysticism. Local vendors have an answer to any of life’s troubles in the form of a holy water or a different ritual. These beliefs are usually practiced by people who also practice catholicism, an interesting phenomena with the most incredible rituals and part of our heritage. To get there we suggest you to take an uber. Located in the north of Mexico City, the massive Biblioteca Vasconcelos was designed by Alberto Kalach and completed in 2007 after three years of construction. This temple of knowledge is generally referred to as a megalibrary both for its size and the undeniable sense of importance conveyed by the structure itself. The transparent walls, the intentionally slightly mismatched floors and intricate networks of balconies and paths between replicating stacks let visitors get lost in the worlds contained within the books themselves. To get there you can from La Palomilla take Metrobus Álvaro Obregón to Buenavista station. This building that used to house a monastery school now contains a collection of Colonial religious art. 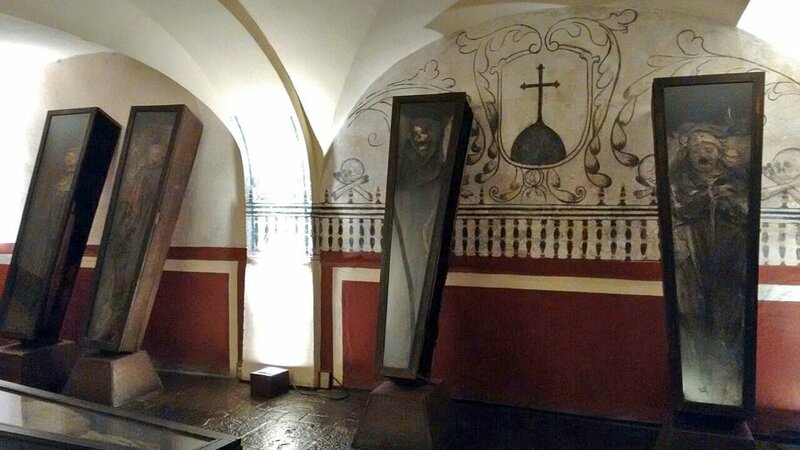 In the crypt below the school you can find 12 mummified bodies of former parishioners. The bodies were left in the crypt after the school was abandoned in 1861. Due to soil conditions the bodies dehydrated and naturally mummified. In 1929 the mummies were placed in a velvet lined wood and glass casket that you can still see today. In 2012 the crypt was fully restored and opened to the public. The Museo del Carmen is located in the south of the city and to get there you can take the Metro to Miguel Ángel de Quevedo. The nearest Metro from La Palomilla is Metro Sevilla or Metro Chapultepec. This extensive toy collection of architect was started by Roberto Shimizu Kinoshita at the age of 10. It gives curious visitors an alternative history of the country’s culture, told exclusively through its toys. The collection runs from the 19th century to the 80s, with a particular emphasis on toys popular in Mexico, but you’ll be surprised to see there are loads of non Mexican toy fans can appreciate. The first floor houses a gift shop that is a bit more organized than the museum. They sell vintage toys to support the museum, thus giving visitors an opportunity to start a collection of their own. The Museo del Juguete Antiguo is located in Colonia Doctores, you can find it if you look for the building with the huge mural on the side. From La Palomilla take Metro Sevilla to Metro Obrera. These are just a few ideas for things to do in this amazing City. Come and experience some of these by yourself, we’ll be waiting for you at La Palomilla with some aguas frescas after your days exploring CDMX.